Copyright �2013 PopEntertainment.com. All rights reserved. Posted: June 4, 2013. It's not easy to have to live up to a musical icon long before you have played your first note. 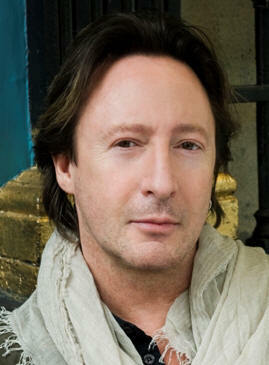 Julian Lennon's father was the late Beatle John Lennon. Two of his band's best known songs were written about the boy. Paul McCartney wrote "Hey Jude" about the little boy (the song was originally called "Hey Jules") and John Lennon based the song "Lucy in the Sky With Diamonds" on a picture Julian drew as a child. Still, Lennon was only five years old when his father left his mother, so he really did not get to know his father well before he was murdered in 1980. Then when Lennon became a radio star in 1984 with the gorgeous ballad "Valotte" and the reggae-vibed "Too Late For Goodbyes," the singer was constantly compared to the father he didn't totally know. 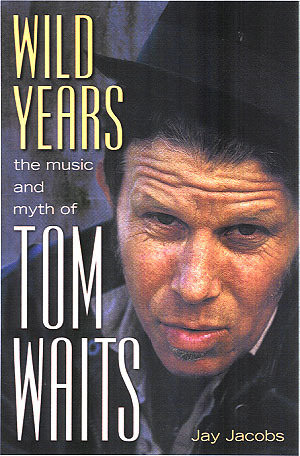 His Valotte album was a terrific work of songcraft. 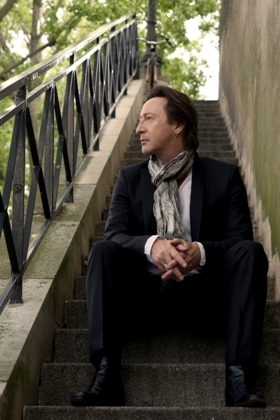 In the years that followed Julian Lennon has shown himself to be a natural songwriter, putting together some wonderful albums like The Secret Value of Daydreaming, Help Yourself and Mr. Jordan. Sadly, none of those albums caught the public's attention like his debut and eventually Lennon strayed from being a fulltime musician. His last album was Photograph Smile in 1998. 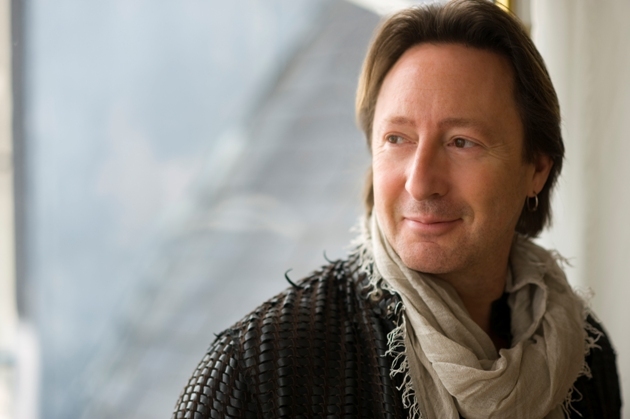 In recent years, Lennon has been working mostly as a photographer as well as a philanthropist, intimately involved in several charitable organizations, including the environmental White Feather Foundation and the Lupus Foundation. 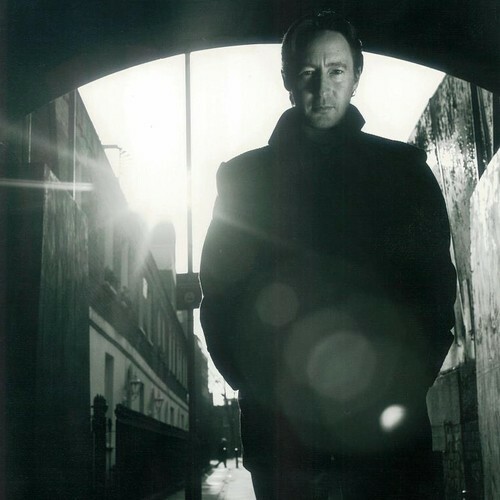 In the years since Photograph Smile, Lennon has also been working on a follow-up album, Everything Changes, which was finally released on June 4, 2013, though Lennon had previewed many of the tracks online. The album shows that Lennon still has an amazing ear for a gorgeous melody and a heavenly voice and Lennon has only matured as a songwriter. The first single "Someday" is a duet with Aerosmith leader Steven Tyler. A few weeks before his new album was released, Lennon gave us a call from his home in England to discuss his career, his new album, his newfound love of photography and the difficulty of following in the footsteps of an iconic musical father. Obviously your father was a musician, but I know he wasn't around all that much when you were growing up. At what point in your childhood did you realize that music was something you wanted to pursue? I remember that feeling. I also used to do acting at the school, which I loved too. It was not a dissimilar feeling. I just remember standing onstage with a guitar in your hand, with a microphone, having sang a bit of rock & roll. Getting that warmth and that electric response from the audience. There was nothing like it. The thing with acting and theater was that for the most part you'd be there for an hour and a half or whatever it is and then you'd get the applause. When you were doing these three and a half minute songs, you were getting applause and screamed at every three and a half minutes. (laughs) So that was obviously the initial logic to why I even considered going down that route. In 1984 with the Valotte album and single and "Too Late For Goodbyes" your musical career just exploded. How surreal was it to suddenly have your music played all over the radio and on MTV and everything? Jay, it was truly bizarre. It was truly, truly bizarre. Because for the most part, I'd led a relatively quiet, unknown life. Apart from some of the obvious. I still think about those times, when I look at new, up-and-coming stars. Like when [Justin] Bieber first hit. You just go: My God, I hope they've learned from our experience. (laughs) I remember panic stations when we would leave a hotel, or a gig you just finished. The fans would literally rip your clothes off or try and pull your hair out. I mean it was violent! (chuckles nervously) And really quite scary, too. When you've got a couple of thousand people around you trying to get at you, there's a sense of panic that you have. There really is. A little bit of anxiety. But it was an amazing, amazing time. I'm very thankful that it happened. I was unsure what was going to happen after that, but certainly at that point in time, it was quite an amazing, amazing situation. Obviously you had a bit of a balancing act because your father is such an iconic musician and you have a similar singing voice. How hard did you try to make sure that your own music was unique? The thing was, I was just doing what I was doing, in regards to the first album. I think the response thereafter in the following albums was a result of the comments made by the press and the media, the critics. I was going: well, where am I in this? You've forgotten about me in this whole equation. For a kid who is growing up, who thought he has been successful on his own merits, to be told it's not really anything to do with him. It's because he's the son of... and/or because his voice is similar. [That] is quite damaging. Then you spend the rest of your life trying to fight that. That's been a consequence. My actions following through come from those initial criticisms. A majority, in all honesty, were without malice. But, nonetheless, when 90% of it is that, I think, where am I in all of this? From that point in time, it was a battle for me to change. Also, I felt like I was a bit of a late bloomer, so for me the first few albums were very much like being a teenager in the public eye. Going through that struggle of puberty and trying to understand what it's all about. On one end, I was having the time of my life. But on the other end of the scale, it was a double-edged sword. I felt I was fighting with every demon known to mankind. I didn't quite get why that was happening or why I was put in that position when I was just trying to be an artist as best I could. You came up in the last real boom period of the music industry, with huge record sales and MTV. Yes, when MTV actually played music. You got to work with incredible people like Sam Peckinpah (who directed his first three music videos.) At the same time, I remember the "Stick Around" video had lots of celebrity cameos and was a cool video, but I never thought the song itself got its due just as a piece of music. How do you think the visualization of that period changed music? In those days as far as the visual aspect of the artistry that came into play with most artists, that was done, directed and taken care of by either your management or the record labels. You did have an element of... I wouldn't say control, but you certainly were able to say if you liked the idea or didn't like the idea, for the most part. Jerry Kramer, who did that video, I'd liked his work. The idea was fun. It was pop and it was 80s. It just felt okay. Whether it was actually true to the lyrical content of the original theme, that's another thing. That's why these days, I try and take charge of everything and anything that is visually associated with me. With the work that I'm doing. Even with the previous album, but much, much more so with this album. I'm doing a video for every song on the album and doing a documentary about it all. Finally after 30 years, I'm trying to get my side across from the visual aspect of it all. You've become a photographer. Has that helped you with your artistic eye, visually and also just musically? Listen, Jay, I can't tell you how much photography has changed my life. Purely from the aspect that I'm allowed to be free in the work that I do artistically, without those confines of being associated with either The Beatles or dad. Not that I've taken issue with that, because obviously, they've been a major influence in my life. But this truly allows me to stand on my own artistically with some merit. I didn't know how I was going to be looked at. "Oh, he's going to try photography now." It wasn't a question of that. I was guided by Timothy White, who is an incredibly celebrated photographer. He did the second and third album covers. He was the one that said, "Jules, you should really do something with your work." I wasn't a photographer, per se. I don't know the technical ins and outs, but I certainly knew what I liked in visuals. I became self-taught in the editing process with what I was doing. I wouldn't say I'm a professional photographer, but more of a visual artist. I do most of my work after the fact. I do it in post, really. It's certainly given me a new lease of life. It's taken the focus off music. It allows me to not only get on with what I love about photography, but to also enjoy music much more. Instead of that being the central focus of not only the art that I do, but also the central focus of criticism that I've ever had. This allows me to step aside from the music and go back to it in a much more natural form. Just get on with it, much more from an artistic point of view these days, rather than the worry of what people are saying about it. If I allow that to affect my life these days, it's going to kill me. (laughs) I turned 50 last month. I just said, you know what? Life's too friggin' short. Excuse my French. Enough of killing myself over other people's thoughts and criticisms and this, that and the other. If I'm going to be a true artist to myself, then I need to push all of that crap aside. I need to just get on with the main focus of the art. Regardless of whether that is photography, music or otherwise. You have no idea... I wouldn't say it was a chip, but the weight that has come off my shoulders from actually allowing myself to do that. Now I feel a much stronger, much freer person than I have ever been before. I'm able to talk about anything and everything quite easily and quite comfortably and just move forwards and onward in my life. I was reading that while you were working on the album for several years you would upload rough cuts of the songs and get feedback from fans. How did that help you as an artist? Right. Yes. When the whole internet came along, the viral aspect of it... and I think MySpace was the first one really that most musicians at least latched onto... I remember because I was doing my first work in 15 years or thereabouts, I just felt I couldn't wait to see what kind of response there was going to be. I was a bit nervous about the fact that this was going out, because it can be knicked. It can be reproduced. You could lose it in many respects. But the response that came back was really... I was overwhelmed by it, to be honest. That certainly did encourage me to move on and move forward with the completion of the album. I don't think that as such that people make comments about what direction it should go. They just gave me feedback as to how much they liked it or didn't like it. (laughs) Not that that would change anything that I was doing, but it's always good to have your ears open and listen to the feedback. It gives you a little perspective. I saw a quote about the British release of Everything Changes where you said that this is your favorite album yet. How do you feel you have grown as a musician? Well, first and foremost, it was a soft release only in the UK. Nobody else has heard it outside of the UK. It was an earlier version. Yes, I saw the UK version has a few tracks missing from the US release. Right. Again, that was like doing a MySpace. Get it out there, if you will. The way it has grown for me in every aspect, there is a lot of work that I've done that I like a great deal. Some not. But I did really like the last album [Photograph Smile] very, very much, as well. I think there are some of my favorite songs on there as well, too. The thing that made the difference this time around was truly, truly having the space and time to breathe. Because of the fact that for the most part I'd recorded this and worked on this at my home studio. Normally, with any occasion before, even though the last one was independent, it was always locking in studio times and costs and this and that and the other. Tying people into production time and performance time. This friend guitarist could only come in at this point. You were all bogged down to a schedule, basically, one way or the other. This way, because I was working without the clock, so to speak, the majority of the people that play on the album are dear friends of mine. Came and stayed for the weekend and I said, what do you think about this? Fancy playing on that? They'd either wouldn't come up with ideas or would come up with ideas that I absolutely loved. It would allow me to either continue working in the vein that I was or would inspire me to maybe take a little bit of a turn on one or two of the songs. That way just allowed me to breathe and think about the tracks. Like aging a nice wine, when you open the bottle. I can go back and breathe and think about it and go back in my own time and finish it. That, to me, was a free approach of doing this. For me, for my sensibilities, the way I work, the way I write, the way I record, etc., etc., is just perfect. You don't always feel like singing a song and singing a particular song. Being able to lie in bed and just go I'm feeling that emotional song right now because of this reason or that reason and just get up and go into the studio and sing it then and there. The way you feel it should be sang, correctly, emotionally, spiritually. [That] is a gift in that respect. In being true to yourself as an artist and bringing out the best in you in the most natural way. That's the biggest difference for me. That's why I love, love, love this album more than any other. This is probably the only album that I don't have one of those tracks where I cringe a little bit. (laughs) You know? I'm just happy with every song on the album. I mean, every artist says this every time, but I'm telling the truth for this one. It felt like you hit on something elemental to you with "Beautiful." What inspired that song for you? Oh, yes. I'll tell you what happened. It's a bit of a long story. Gregory Darling, a friend of mine, who I write with and plays keyboards and backgrounds with me sometimes, who is a solo artist in his own right and I love, was working on his first solo album. I think I was living in Spain at the time. He was elsewhere. He sent me a track, a music track. I absolutely fell in love with it. He said, "Listen, Jules, really it's down to the wire here. I can't come up with any lyrics for this song. I really need them by Monday." He sent it to me on a Friday. I thought, oh my God, what am I going to do with this? But it hit me, emotionally. I was going through a few things at the time. Friends and family had passed. And this and that and the other. Or friends of friends' family had passed. I just remember reflecting that this song was so musically beautiful that I had to write lyrics that would pair with this so emotionally. So to point, so to speak. It's not something that I could fail upon. I had to be true to this. I just basically wrote what was in my heart at that particular time. The thing was, I sent him back the lyrics, but there was some internet confusion at that time. This is, I don't know, ten years ago. He never got my version. He literally had to go in on Monday and he did some scratch lyrics of a song called "Serious." (laughs) Then after I heard that he'd done that, I said you're kidding me! I killed myself this weekend. I said, but listen, I love the track so much, can we just consider it a co-write and I can put it on the album, too. I'd hate for this to be wasted or lost, because it really is something from the soul for me. He said, "Jules, of course. 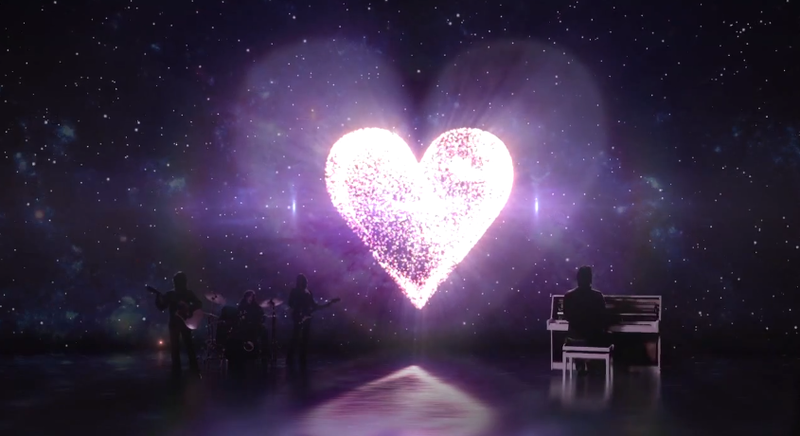 It would be an honor and a pleasure for you to combine the work and put it on the album." That's what happened. It was just a natural process. Yeah, it's a song that seems to relate and touch everybody that's listened to it. 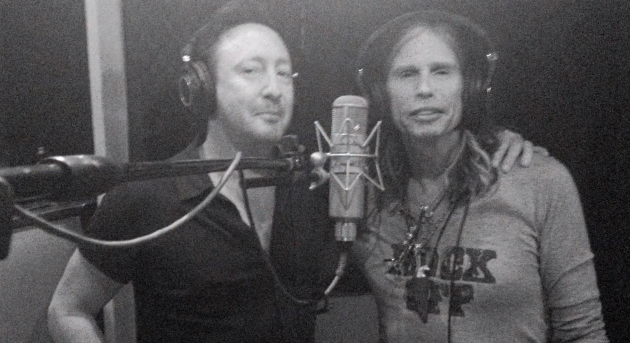 CHECK OUT THE MUSIC VIDEO FOR JULIAN LENNON AND STEVEN TYLER'S "SOMEDAY!" #1 � 2013 Deborah Anderson. Courtesy of Thinktank Digital. All rights reserved. #2 � 2013 Deborah Anderson. Courtesy of Thinktank Digital. All rights reserved. #3 � 2013 Deborah Anderson. Courtesy of Thinktank Digital. All rights reserved. #4 � 2013. Courtesy of Thinktank Digital. All rights reserved. #5 � 2013. Courtesy of Thinktank Digital. All rights reserved. #6 � 2013. Courtesy of Thinktank Digital. All rights reserved.